This thread is for questions, comments, and discussion about the contest. If you would like to submit an entry, please post to the Greenskeeper Gathering Contest Submission.Thank you! The nature dragons of the Viridian Labyrinth are druids. They prefer to be as wild and primary asl the ancient forests they call their home. 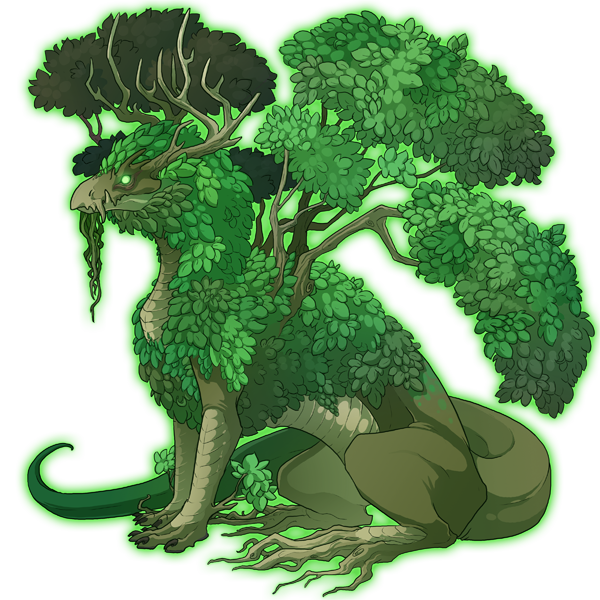 Of all the dragons, nature dragons are the most nurturing, enjoying the care and cultivation of the flora and fauna, spreading an overgrowth of life where once there was none. Seeds and rare flowers are their favored treasures. The Viridian Labyrinth is considered the pulsing, verdant center of what remains of the Gladekeeper's ambitious campaign to blanket the world in life abundant. From the dark sweated jungles, shamanistic clans weave the wildlife around them into formidable tree villages and hideaways, content enough to cling to the waning growth of the world through roots and streams. Click here to visit The Viridian Labyrinth on the World Map. We really hope there will be something for male imperial. Definitely going to enter with an accent!! My most beloved flight! @Miduana i love your entry! [quote name="AlbinoWerewolf" date="2018-05-05 03:05:33" ] Miduana i love your entry! [/quote] @AlbinoWerewolf thanks! Miduana i love your entry! [quote name="modernIcarus" date="2018-05-05 04:06:36" ] Fanartsy I really like your entry Jewelled Flowers! It gives off an art nouveau kinda vibe. <3 [/quote] @modernIcarus Aww~thank you so much! Hey, for some reason your entry's link is broken, the image won't load.